The choice to carry a gun each day is nothing more than an extension of a previous decision one has made in their life. This decision was that of self-preservation. The concept that my life, or your life, or the lives of those we care about is more valuable than the lives of criminals that would seek to do us harm. Anyone that has made such a decision generally then takes steps to ensure they can prevail against a criminal attack. They acquire the tools and training and they develop a mindset and lifestyle that will allow them to avoid a fight if possible but win a fight if necessary. It’s only logical that handguns would come up in this evolution of tools and training. Handguns are easy to carry on your person and they are generally more efficient at ending a fight than a club, knife, or any less lethal weapon at stopping an attacker. In fact, the only things that usually perform better than handguns are rifles and shotguns. I have been an instructor for about sixteen years now and I have been fortunate enough to turn some good students into great friends over those years. I am delighted to see these same folks come back to class after class but I would be doing them a huge disservice if I didn’t encourage them to obtain training from other instructors. Why Don’t You Take a Class? Have you ever considered taking a defensive shooting course? I’m talking about a course that goes well beyond the basic firearms safety and operation taught in most concealed carry classes. 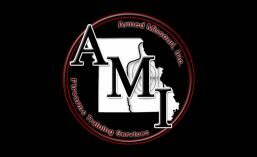 Most people that take a concealed carry class or other basic firearms course never consider continuing their training. Others think about it but never do it. Then there are those that buy a gun for “self-defense” but never take any formal training of any kind. How can you expect to use a firearm as a defensive tool with minimal or no training? How can you expect a basic firearms safety course to prepare you for a life and death fight with a gun? Is “blended learning” really the “future” of firearms training? Every year as we near the Christmas season, I see memes such as the one posted above all over Facebook. Honestly, I would love it if someone bought me a new gun for Christmas and, admittedly, I get the slightest twinge of jealousy as I see my friends posing with their new “toys” in front of the Christmas tree. 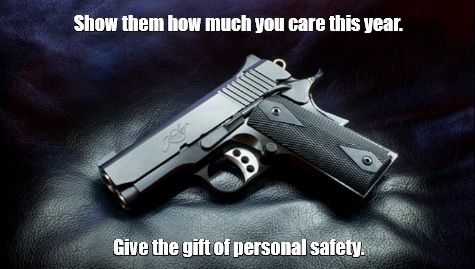 But does giving someone a gun really tell them how much you care? Some have asked why I would spend my time taking a course like this a second time. The answer is simple; there’s no way to adequately remember the lessons learned in such a course by going through only once. Too much time passes from the beginning of the course to the end of the day and there isn’t sufficient time to take notes even if note taking were more practical on an outdoor range.